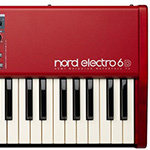 AC-nordstage388 Nord Stage 3 88 - Professional portable stage piano and synth. 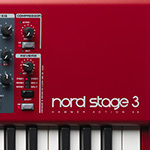 The Stage 3 series offers an incredible acoustic piano, organ and synth section from the Nord Lead A1. With multiple OLED displays and brand new expanded memory and effects, this is the ultimate Nord Stage instrument. Finance Available. 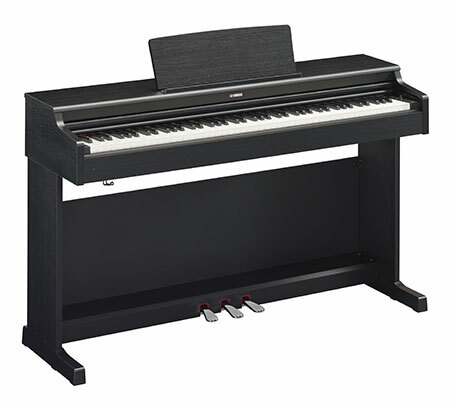 AC-CP88 The Yamaha CP88 Stage piano combines a great range of sounds, intuitive controls and smart features with a wooden graded hammer action all housed in a lightweight road ready aluminium chassis. 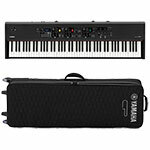 AC-CP88Bundle Yamaha CP88 Stage piano and case bundle is the complete performance and transport package for the gigging musician. Finance available. 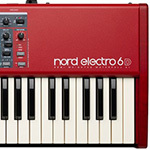 AC-NOR0068 The Nord Electro 6 combines our award-winning emulations of vintage electro mechanical and acoustic instruments in an ultra-portable package. With 3 independent sound sections, a new streamlined user interface and the addition of Seamless Transitions, were proud to present the most powerful and flexible Electro ever - a refined modern classic. AC-NOR0069 The Nord Electro 6 combines our award-winning emulations of vintage electro mechanical and acoustic instruments in an ultra-portable package. With 3 independent sound sections, a new streamlined user interface and the addition of Seamless Transitions, were proud to present the most powerful and flexible Electro ever - a refined modern classic. AC-NOR0070 The Nord Electro 6 combines our award-winning emulations of vintage electro mechanical and acoustic instruments in an ultra-portable package. With 3 independent sound sections, a new streamlined user interface and the addition of Seamless Transitions, were proud to present the most powerful and flexible Electro ever - a refined modern classic. 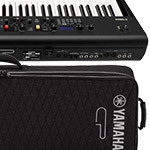 AC-CP73Bundle The Yamaha CP73 bundle comes complete with wheeled case and sustain pedal. 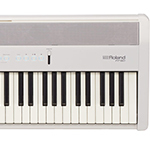 Compact and portable the CP73 is the perfect gigging piano. Finance available online. 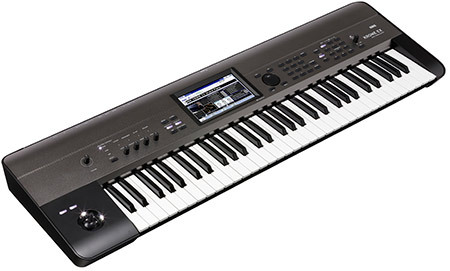 AC-CP73 The compact and portable Yamaha CP73 stage piano weighs in at just 13Kg making it truly portable. 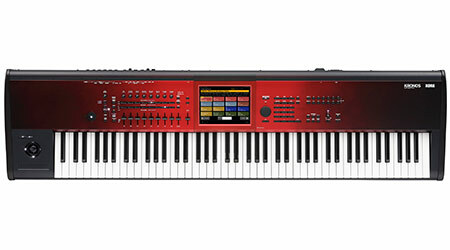 A quality 73 note balanced action keyboard, brand new layout and top class sounds make it the perfect gigging instrument. Finance available. AC-NOR0072 Now on its fourth generation the Nord Piano range has been a massive hit with piano players all over the world with Nords world famous samples and quality. Come in store or give us a call on 01772 722468 for anymore information. AC-FP60BKRF If you need a quality piano for home, classroom or live performance, the FP-60 is a fantastic choice. This portable digital piano offers exceptional sound and touch housed in a sleek, stylish cabinet that looks great and is easy to transport. The specially designed onboard speaker system produces rich, impressive sound with ample projection for performing at small venues, while a range of non-piano sounds allow you to cover a variety of musical styles. AC-nordstage388RF Nord Stage 3 88 EX Demo - Professional portable stage piano and synth. 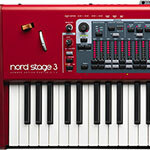 The Stage 3 series offers an incredible acoustic piano, organ and synth section from the Nord Lead A1. 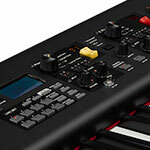 With multiple OLED displays and brand new expanded memory and effects, this is the ultimate Nord Stage instrument. Finance Available. AC-FP60WH If you need a quality piano for home, classroom or live performance, the FP-60 is a fantastic choice. This portable digital piano offers exceptional sound and touch housed in a sleek, stylish cabinet that looks great and is easy to transport. The specially designed onboard speaker system produces rich, impressive sound with ample projection for performing at small venues, while a range of non-piano sounds allow you to cover a variety of musical styles. AC-FP60BK If you need a quality piano for home, classroom or live performance, the FP-60 is a fantastic choice. This portable digital piano offers exceptional sound and touch housed in a sleek, stylish cabinet that looks great and is easy to transport. The specially designed onboard speaker system produces rich, impressive sound with ample projection for performing at small venues, while a range of non-piano sounds allow you to cover a variety of musical styles. AC-VOXCONTINENTAL61 The Vox Continental 61 keyboard brings back the vinateg 1960s sound with a mdoern twist. A dedicated organ section offers 3 classic organs along with a selection of high quality pianos and other selected sounds. Nutube technology recreates the warmth of the classic valve. It comes complete with a sturdy height and tilt adjustable stand. 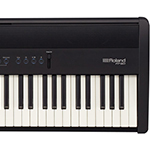 AC-FP50RF Travel-friendly and affordable, the Roland FP-50 Digital Piano brings you top-class piano performance along with many other great features to enhance your playing enjoyment. AC-ELECTRO5D61 Versatile, lightweight and easy to use. 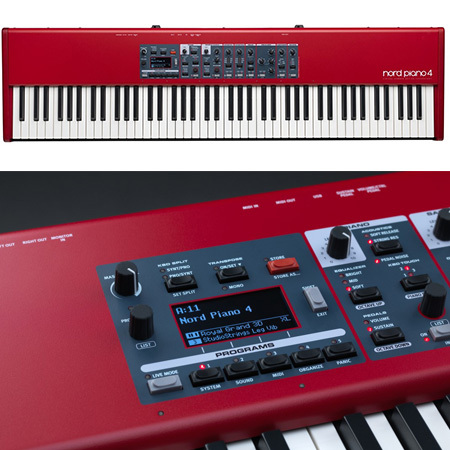 Nord Electro 5D has world class piano, organ and sampled sounds with new split & layer facilities, large OLED display and a huge 1Gb of memory. 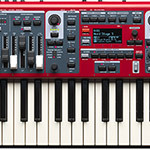 AC-Electro5D73 The Electro 5D embraces the famous Nord sounds and makes use of physical organ drawbars, split and layer functionality, huge 1Gb memory for the Nord piano library and 73 note waterfall touch keyboard. 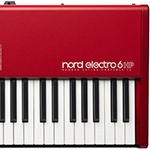 AC-Electro5DHP The Nord Electro 5 HP utilises the famous Nord piano library with an extended 1Gb of memory. A new OLED screen makes operation a breeze with the new setlist feature perfect for stage use. It is now possible to split and layer sounds with quick volume balancing via a central dial. 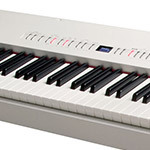 AC-FP50WHRF Roland FP50 Digital Piano In White. Refurbished By Roland. 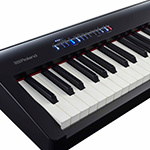 Supernatural sound technology, portability and built-in speakers make this an ideal multi-purpose piano. Finance Available. AC-RD800RF Roland RD800 stage piano is truly a workhorse. Incredible sounds and robust build make it ideal for use when on the road. This ex-demo model comes with warranty and free next day mainland UK delivery. 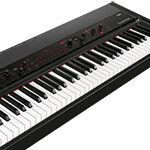 AC-RD2000 Roland RD-2000 stage piano delivers unmatched performance on stage and in the studio. 2 Sound engines, multiple hands-on controllers, huge performance capabilities, USB Audio and MIDI. Finance available. 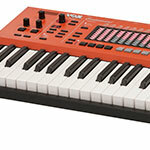 AC-nordstage3compact Nord Stage 3 Compact - Professional portable keyboard with 73 note waterfall keyboard. 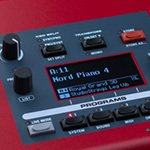 Physical drawbars give access to the stunning organ sound engine which can be combined with the piano section and synth section derived from the Nord Lead A1. New seamless sound switching allows perfect sound changes. Multiple OLED screens make navigation and setup easier and better than ever before. 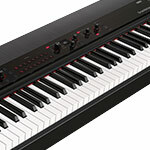 AC-FP30BLKRF Roland FP30 Portable Digital Piano - Black finish. Finance available. The FP30 is portable, offers Roland high quality superNatural sounds and comes equipped with modern features such as USB, audio playback and Bluetooth technology. AC-RD2000RF Roland RD-2000 stage piano delivers unmatched performance on stage and in the studio. 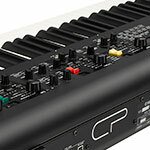 2 Sound engines, multiple hands-on controllers, huge performance capabilities, USB Audio and MIDI. Finance available. We have this available as an Ex-Demo unit in excellent, as new condition with a standard one-year manufacturer warranty. Please see full item description for more information. AC-FP80BLK The Roland FP-80 Digital Piano is ideal for home and live use, thanks to its beautiful design, versatile sounds and incredible portability.